Invest in education. Invest in the future. Education Is The Key To Transformation. Make An Impact Today. 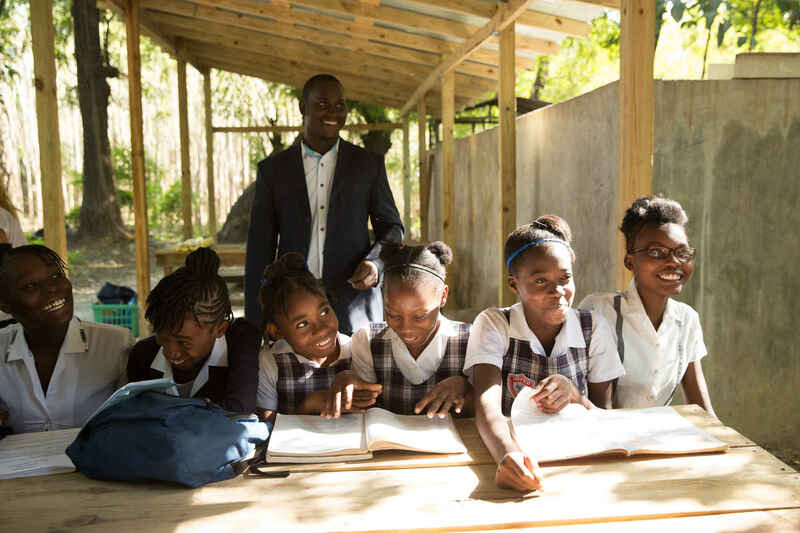 In Haiti, as in most parts of the developing world, if a student cannot pay for school, they cannot attend and complete this critical first step in life. Our Elev Education program invests in the future by providing vulnerable students financial scholarships, personalized tutoring, and mentorship. We fund full scholarships, which covers the cost of books, uniforms, and tuition. Our bi-weekly tutoring program ensures the academic excellence and success of our students. Upon graduation our Elev students are able to then transition into our Lavi program for job training, which prepares them for the formal workforce. Each Elev graduate is guaranteed a job at deux mains, as well as access to university scholarships.